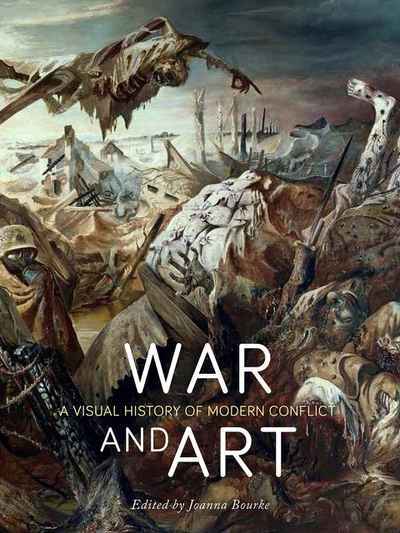 This sumptuously illustrated volume, edited by eminent war historian Joanna Bourke, offers a comprehensive visual, cultural and historical account of the ways in which armed conflict has been represented in art. Covering the last two centuries, the book shows how the artistic portrayal of war has changed, from a celebration of heroic exploits to a more modern, truthful depiction of warfare and its consequences. Featuring illustrations by artists including Paul Nash, Judy Chicago, Pablo Picasso, Melanie Friend, Francis Bacon, Kathe Kollwitz, Yves Klein, Robert Rauschenberg, Dora Meeson, Otto Dix and many others, as well as those who are often overlooked, such as children, women, non-European artists and prisoners of war, this extensive survey is a fitting and timely contribution to the understanding, memory and commemoration of war, and will appeal to a wide audience interested in warfare, art, history or politics.